Direct Dentistry Services, Ontario’s first seniors’ dental service organization, was founded in 1991 by Dr. Peter Brymer. Dr. Brymer recognized the unique needs of seniors in long-term and retirement care through his experience with aging patients in his Toronto practice. In discussions with colleagues, he realized that those needs could best be met by a specialized service. In our first year, DDS served six Toronto facilities, offering preventive and denture services. From the beginning, our flexible approach has been appreciated by patients, caregivers and families, and we have grown exponentially in response. We now have numerous treatment teams, serving 6,000 patients in close to 200 facilities throughout southern and central Ontario. Our services have expanded to include a range of restorative, denture, and emergency services that can all be performed on-site. Dr. Peter Brymer has had an active dental practice for over 40 years in Toronto. He is a Professor (Assistant) in the Prosthodontic Department at the University of Toronto, where he has been on staff since 1976. He has been president of the Central Toronto Dental Society, the Toronto Crown and Bridge Study Club, the Anderson Dental Study Group, and a governor of the Ontario Dental Association. Dr. Brymer is deeply committed to making dentistry available to seniors to ensure their quality of life and health. He regularly makes emergency house calls as part of his work with Direct Dentistry Services. Jan Zalewski is a Level II Certified Dental Assistant with over 40 years experience in the dental profession. Jan has managed all aspects of the day-to-day operations of a dental practice, including the management and administration of the business. 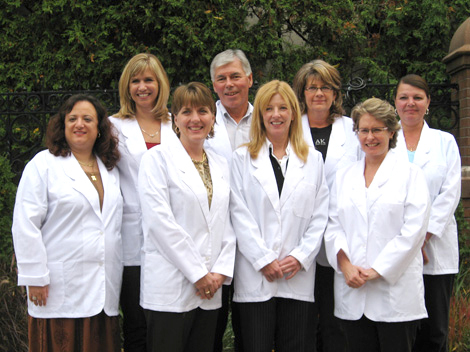 Jan has successfully owned and operated a Dental Personnel Agency. Jan’s experience in geriatric care started as a young teenage volunteer in a long-term care facility. Jan has attended many seminars relating to geriatric dentistry. Since 1991 she has devoted her career to providing dental care to seniors in long-term care facilities.